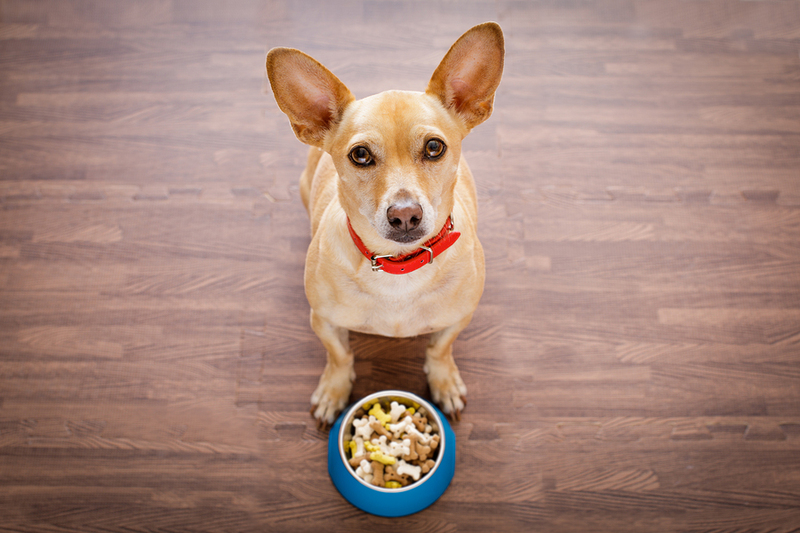 Can we talk about grains in pet food? Can dogs eat grains? That was the topic of a frustrating conversation I had with a pet owner recently. Dogs, she informed me, can’t digest grains. I started to explain that those two things are mutually exclusive, because the process by which dogs turn food into fat stores is the digestive process, but I knew it was hopeless. Despite the millions of dogs who eat foods containing grains every single day and do just fine on them (including mine), there’s a subset of dog owners all firmly opposed to feeding grains to dogs. What I find ironic is that so many of those people base this conviction on the presumed evolutionary unsuitability of grains as food for a canine, while being perfectly comfortable feeding them diets that contain potatoes, starchy veggies like carrots, and grain substitutes like tapioca, none of which would pass that test. Another irony? That so many base their aversion to grains on the fact that dogs are members of the order Carnivora, which, they conclude, means they must eat meat and other foods derived from animals, and nothing else. Dogs are omnivorous, which simply means they, like us, can eat both plant and animal foods. It doesn’t mean they aren’t members of the order Carnivora anymore than eating a diet of 99 percent bamboo means the Panda bear isn’t a member. Now, I prefer to feed my dogs a diet based on meat and other animal foods, but they include other ingredients including grains. My dogs like them, and they do well and live long lives on them. Our Golden Retriever, Shakira, lived to the age of 16 eating them — one of the few Goldens I’ve seen live to extreme old age without developing cancer. Grains contain many nutrients that are beneficial to dogs, such as vitamin E, folic acid, and fiber. Fiber can serve as food for the beneficial bacteria in a dog’s digestive tract, and also helps regulate blood sugar. Grains are also lower in calories than meat, and can help a dog lose weight (although there’s more to it than that!). What’s more, by including grains in their diet, I can reduce the amount of animal foods they consume, thereby lowering our family’s carbon footprint. Additionally, the dog’s pancrease produces the enzyme needed to digest grains, amylase. In fact, they not only have more copies of the gene necessary to produce amylase than their ancestor, the wolf, but the gene is 28 times more active in the dog than in the wolf. Of course, some dogs might have an allergy to certain grains. While beef and dairy products are the top two canine allergens, wheat clocks in at number three. (Chicken and egg are numbers four and five respectively, answering the age-old question of which came first.) But being allergic to wheat won’t make you allergic to rice; the part of the grain that triggers the allergic response is different in all grains. I certainly don’t believe dogs must eat grains; I support my clients feeding their pets any nutritious, balanced diet that the dog will eat and that she does well on. But I haven’t observed my “grain-free” patients are any healthier than the “grain-hounds.” Neither has fewer allergies, skin or digestive problems, or cleaner teeth than the other. So if you prefer grain-free foods (as many people do for themselves, too), I have no objection to that. But don’t confuse that preference with a biological mandate.